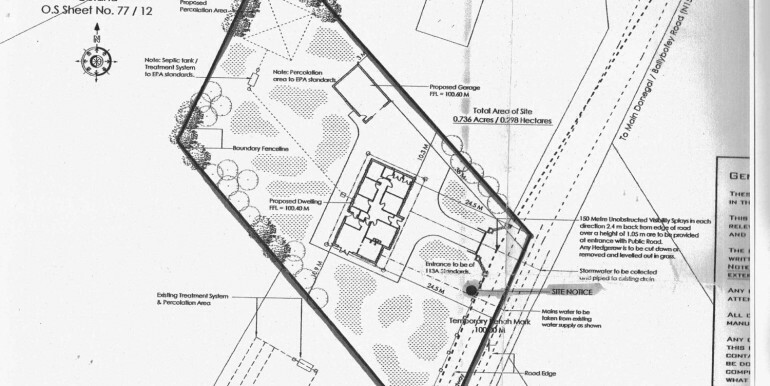 Offered for sale is the above 0.29 HA site. 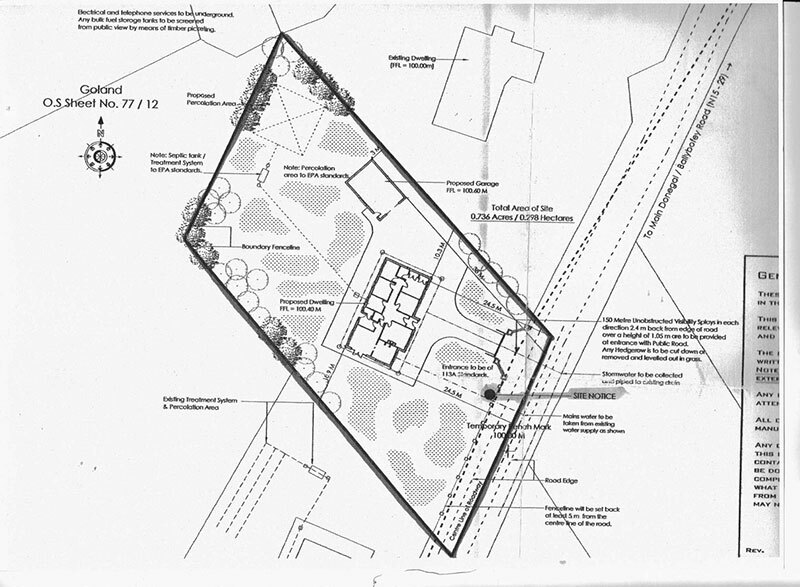 Full Planning Permission has been granted for a three bedroom bungalow measuring 1678.56 sq ft. 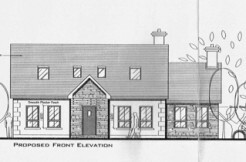 The site is located in the townland of Goland, Ballybofey off the N15 from Ballybofey to Donegal Town. Accommodation comprises of entrance porch, hallway. Sitting room, living room, kitchen & utility,wc, three bedrooms and main bathroom.